SD24. An attractive South Dakota Token in nice condition. 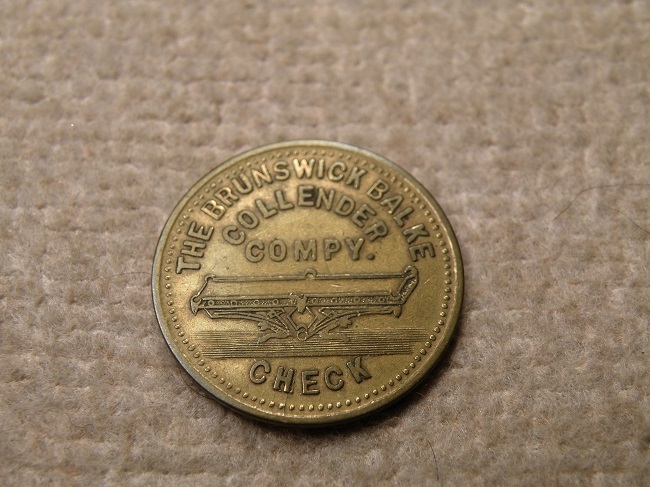 The Brunswick Balke/Collender/Compy./Check//Good For/5¢/CHAS./Youngworth/ In/Trade. The token is round, made out of Brass and measures 25mm.